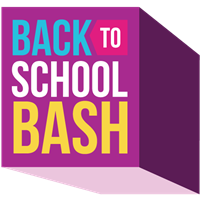 "HIGH POINT, N.C., August 18, 2016 — The High Point Convention & Visitors Bureau (HPCVB) will kick of the school year with a Back to School Bash at the Regional Visitors Center August 30, 5 p.m. to 7 p.m. Various organizations will be participating, including High Point University, High Point Arts Council, Theatre Art Galleries and a local brewery. Uncle Maddio’s Pizza will be providing refreshments. “We love having the HPU students back in town, and encourage all students, including elementary, middle and high school to come and participate in the back to school celebration,” says Nancy Bowman, Director of Sales and Marketing for the HPCVB. Attendees will enjoy activities including corn hole, give-aways and more. The High Point Convention & Visitors Bureau (HPCVB) is a nonprofit organization whose mission is to promote and encourage economic development in High Point through travel and tourism. The CVB works closely with meeting planners to bring events to High Point and to enhance their experience here, providing white glove assistance with event planning tasks including registration, transportation, and coordination among various venues. These services ensure that every group event will be successful down to the last detail because we want each visitor to make yourself at home. Established by state legislation in 1984, the HPCVB is an independent 501(c) 6 nonprofit organization funded by a self-imposed three percent room occupancy tax on local hotels. No taxpayer funds — city, county or state—are used to fund the HPCVB. For more information, visit www.highpoint.org."